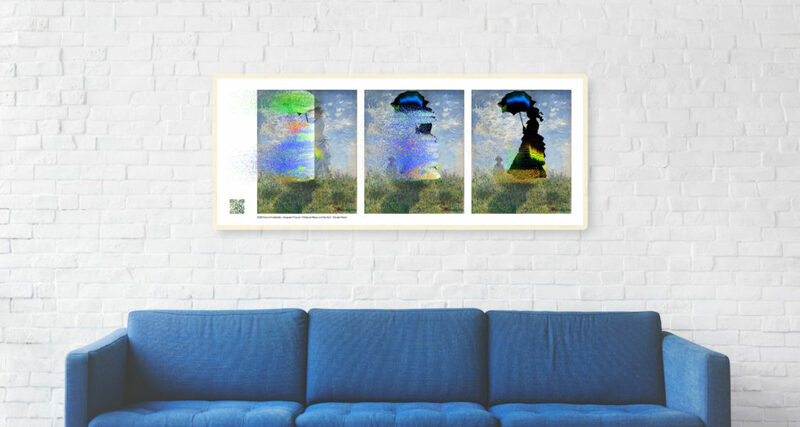 “Ichograph Triptychs” are digital prints derived from the audio video installations “Ichographs” that new media artist Yiannis Kranidiotis has created. 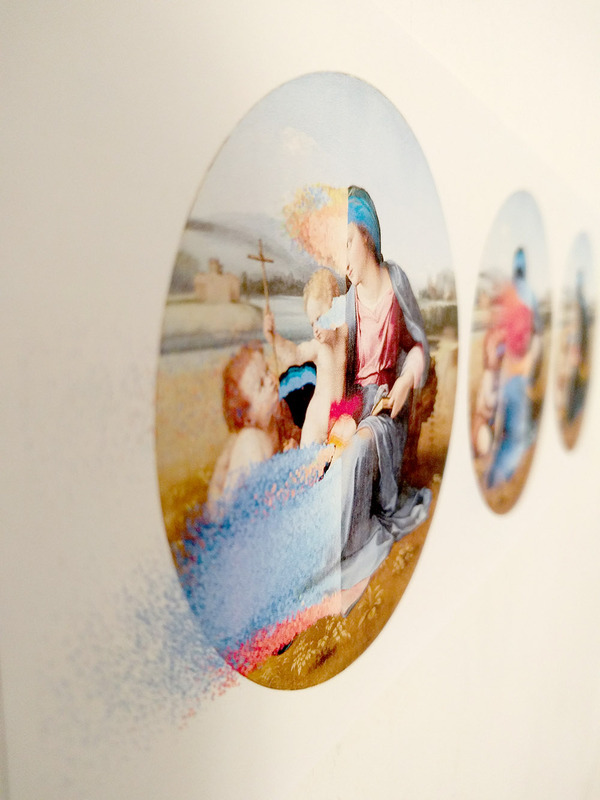 In these artworks selected areas of famous paintings are sonificated using a special color to frequency algorithm. 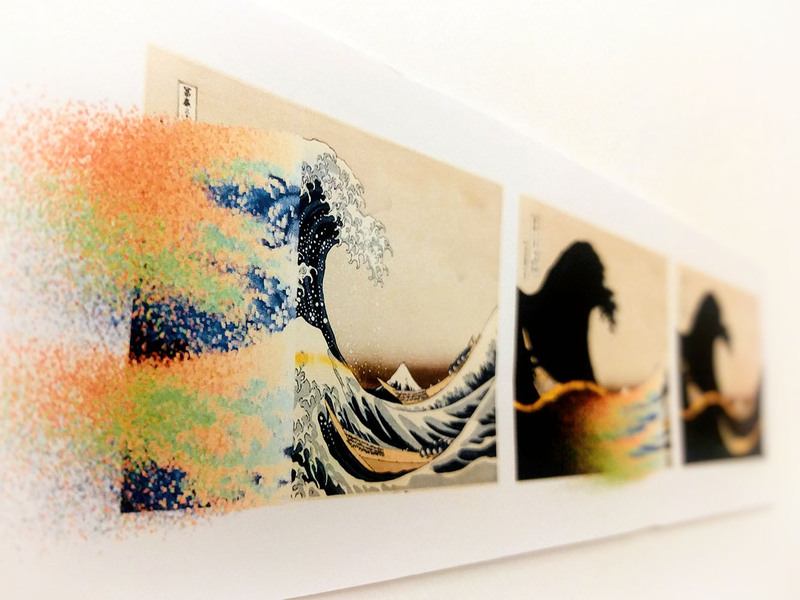 The transformation of the image to sound is also accompanied by a visual transformation of the painting, as thousand small color pieces of the painting are flying away. 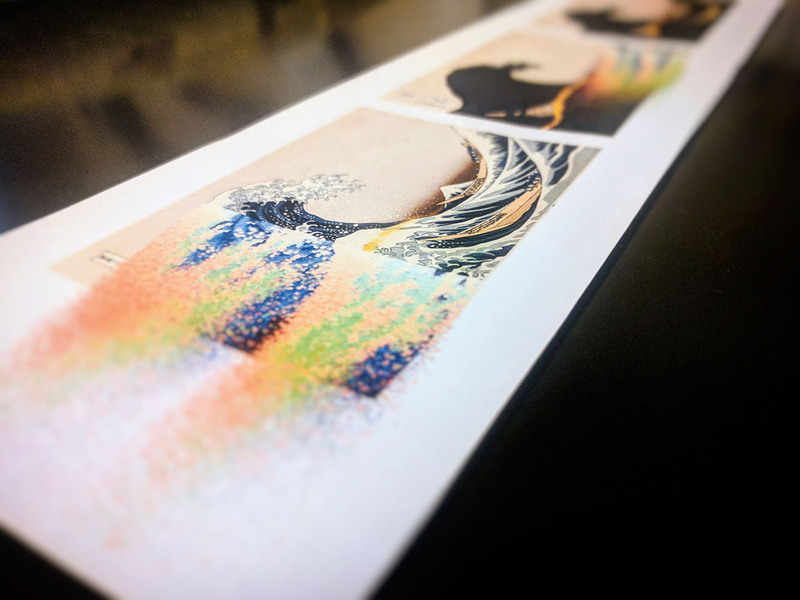 At the end, the final artwork is a contemporary amalgamation of the old painting and the modern abstraction methods, a harmonious dialog between the old and the new, the analog and the digital. 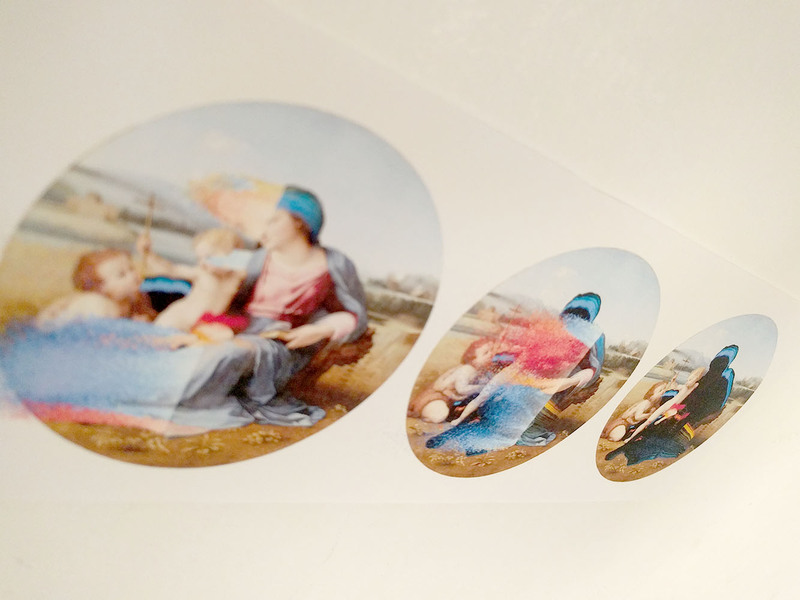 Three important moments (frames) of the each Ichograph video are forming a new static printed Ichograph Triptych. 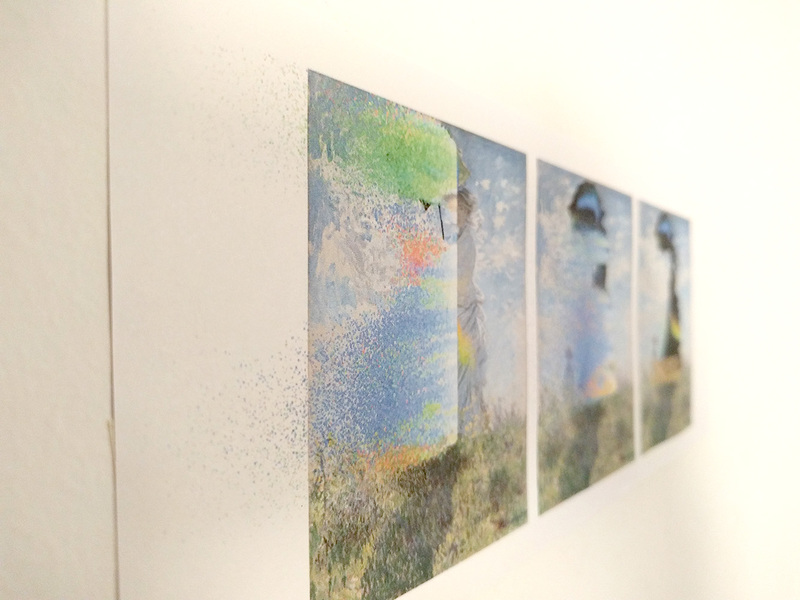 On the corner of each print, there is a QR code that links to the source Ichograph video. low-pitched audio frequencies. Built-in laptop speakers and basic desktop speakers are not recommended. 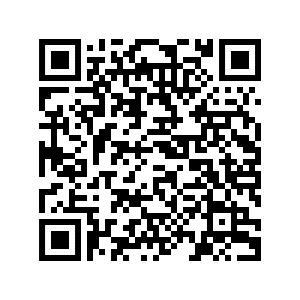 In every print there is a QR code in the corner that links to the video of Ichograph used. “Ichographs” was created using Open Frameworks and Supercollider. 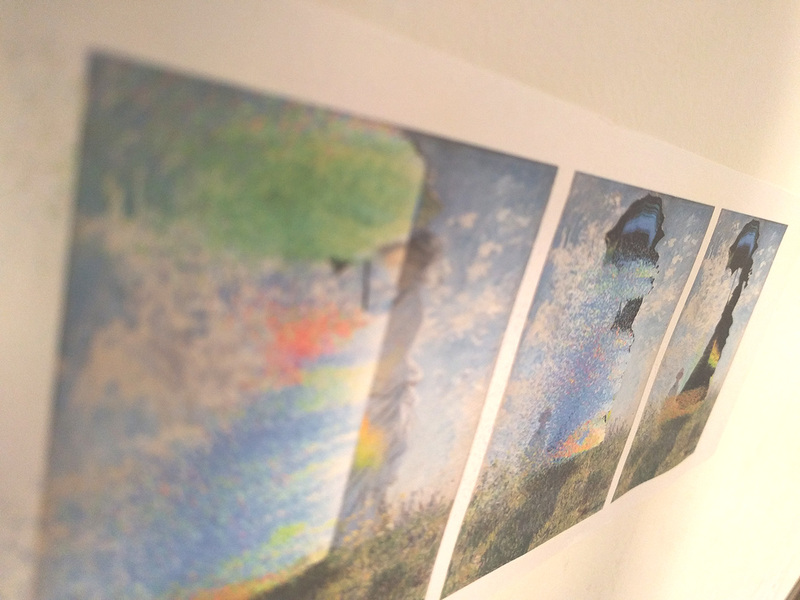 The image is decomposed in 720 basic colors that have been created it, using the HSV format. 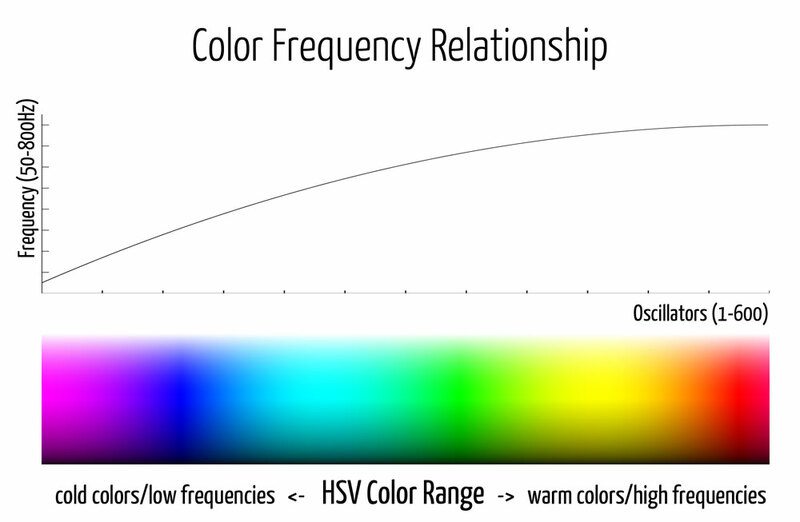 Each color corresponds to an audible frequency from 30Hz to 2000Hz. 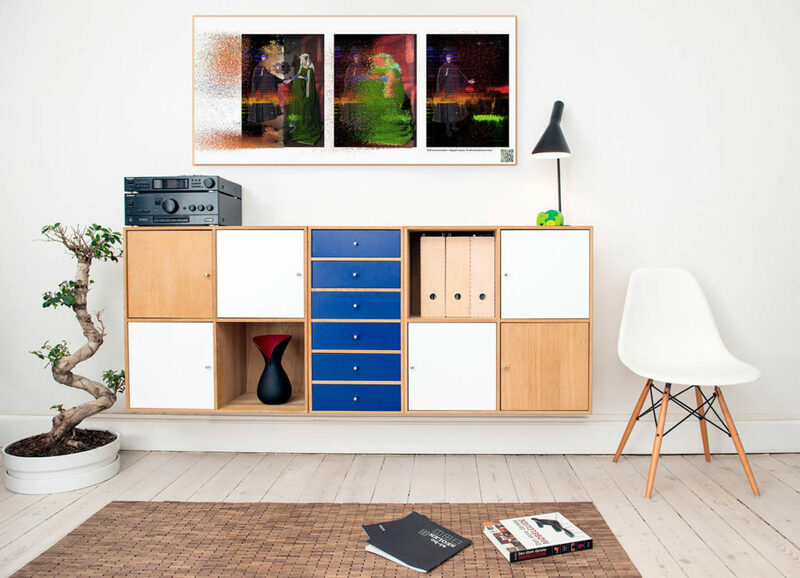 Warm colors (like red) are higher frequencies and cold colors (like blue) are lower frequencies. Then we use 720 sinewave oscillators to alter the volume of each oscillator, depending on the colors that we scan at this time. In this video I used solid color strips to explain the algorithm of the Ichograph method.